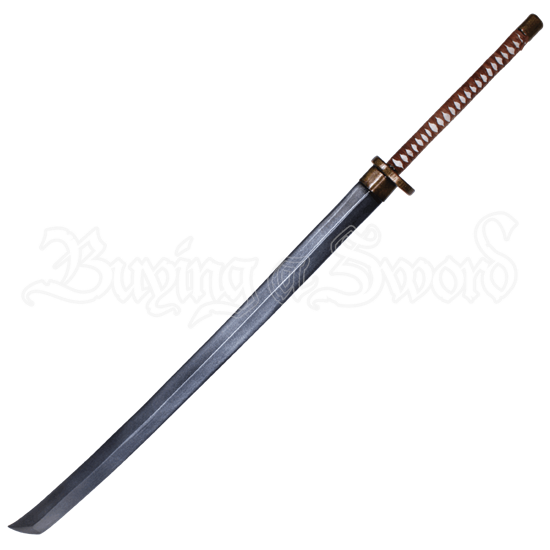 The legendary samurai of Japan were well-known for wielding powerful blades, and this Oriental LARP Nodachi sword does not disappoint. 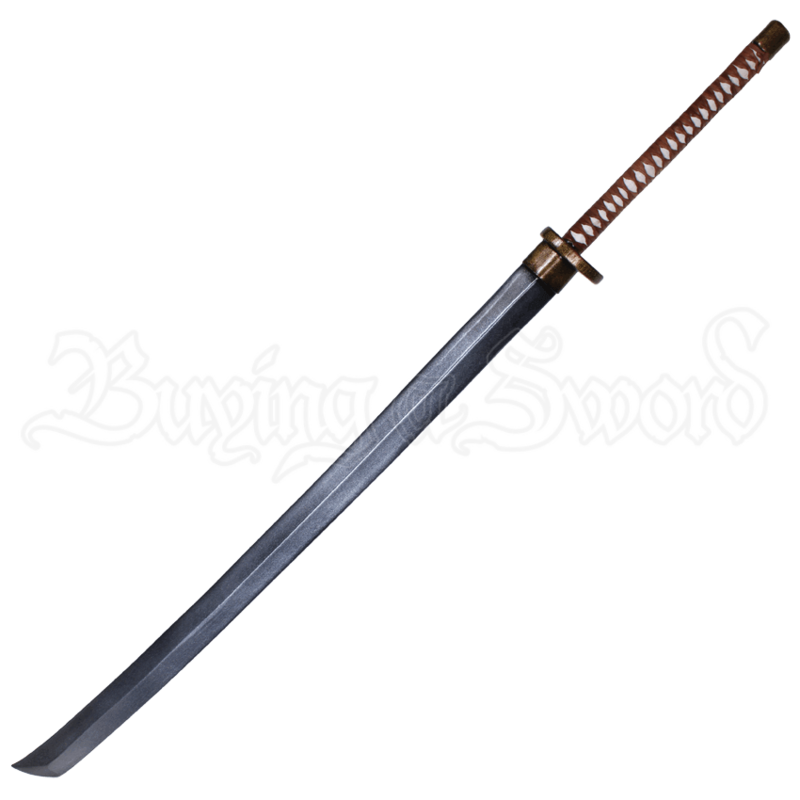 In Japanese style, this weapon will turn any LARP swordsman into a formidable samurai warrior! Like the katana, this weapon features a gently curved blade. Unlike the katana, this weapon possesses a staggering size that will strike fear into the hearts of your foes! The LARP sword offers a wrapped leather grip for a secure hold as well as a classic round guard for that true oriental feel. It is a quality LARP weapon that is made from durable foam that is coated in latex. This Oriental LARP Nodachi is a handmade LARP sword so its measurements can vary slightly from what is shown below. Latex weapons do need to be maintained to a certain degree. We offer a Maintenance Silicone (MCI-2000) that can be purchased separately in the LARP Accessories section. We recommend you use the Silicone on a regular basis. It has an easy, spray on application. The silicone will keep the coating flexible and make the weapons last much longer. The maintenance silicone protects the coating from drying out and helps the weapon resist wear and tear. Please be aware that these measurements can vary, as this item is hand-made.